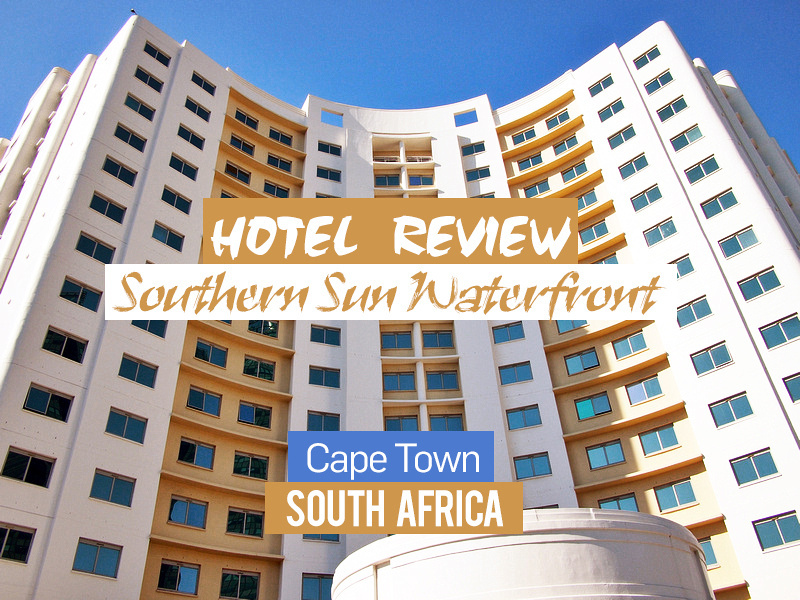 I stayed at the Southern Sun Waterfront in Cape Town, South Africa. 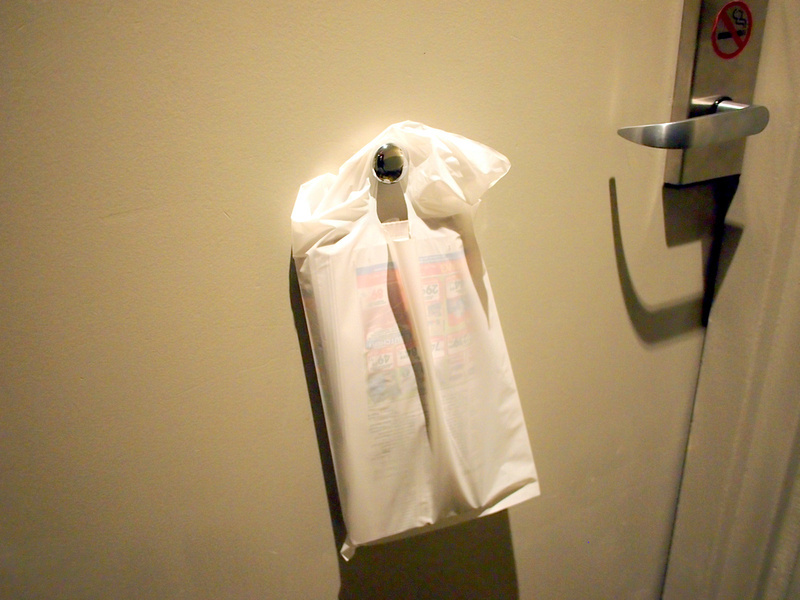 I stayed as a guest of the hotel to review their property. 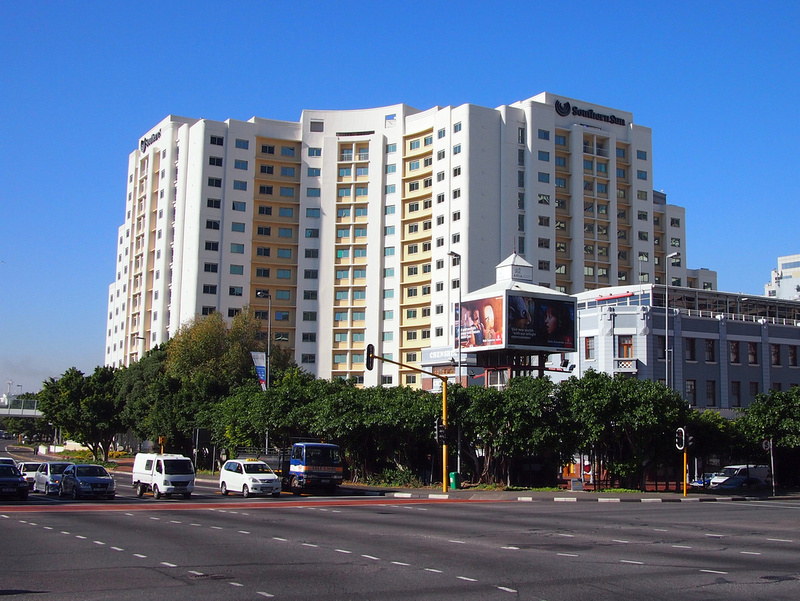 Southern Sun is part of the Tsogo Sun group, which is the largest hotel and tourism company in South Africa. On this trip to South Africa I had stayed at Tsogo Sun hotels in Johannesburg and Durban, and they were all great places to stay. 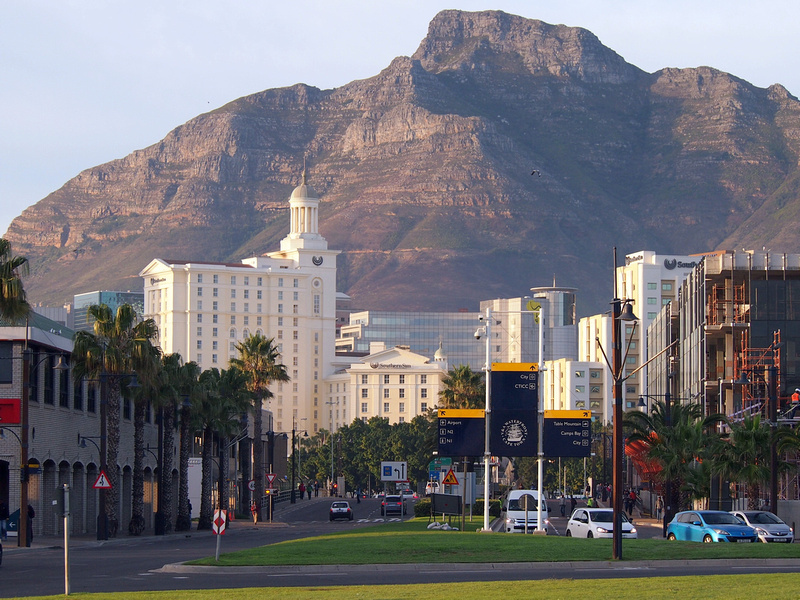 The Southern Sun Waterfront is in the Cape Town downtown area, where the CBD meets the waterfront area. Probably the best known part of Cape Town (aside from Table Mountain) is the V&A Waterfront. The old docks are already well established but there was more redevelopment happening when I visited which will bring the waterfront right up to the city. The Waterfront is next door to another Southern Sun hotel, The Cullinan. From a distance they look like the same property so keep that in mind when arriving. Here is the view when approaching from the waterfront. The Cullinan is on the left and has the little dome on the roof. The Waterfront is to the right and is the same cream colour. 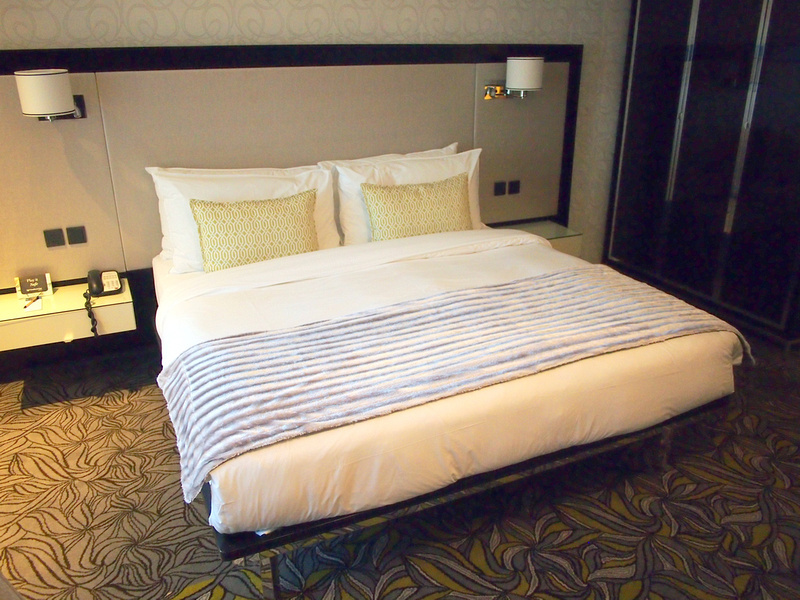 I checked in to my room which was bright and spacious with a soft and comfortable bed that was a delight to sleep on. The room I was in was in part of the curved section of the hotel. This provided an unusual shape for the room which made the room feel larger and homely. 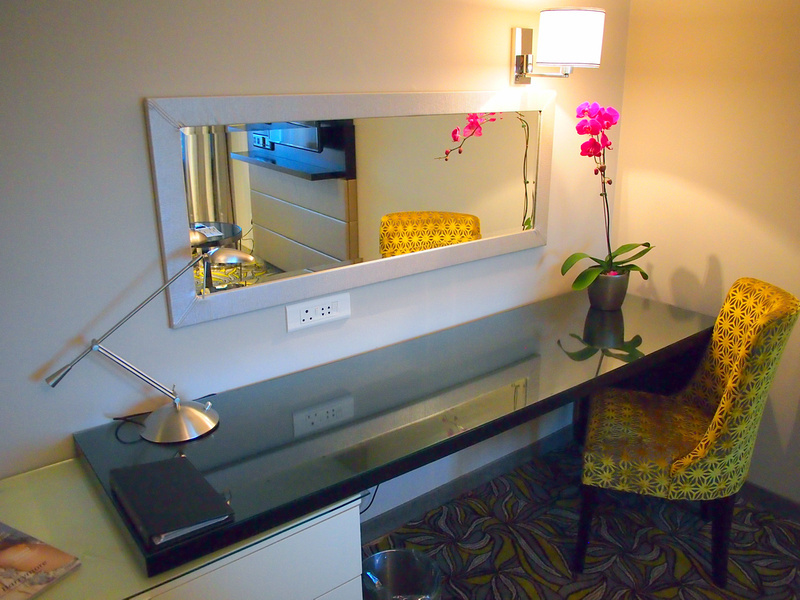 A good work desk with light and local and international power outlets. 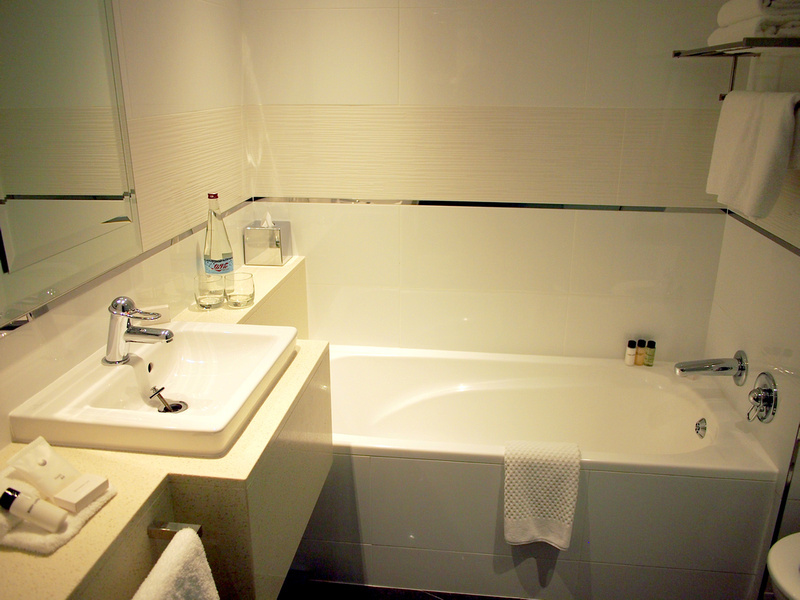 The bathroom had a separate bathtub and shower section. 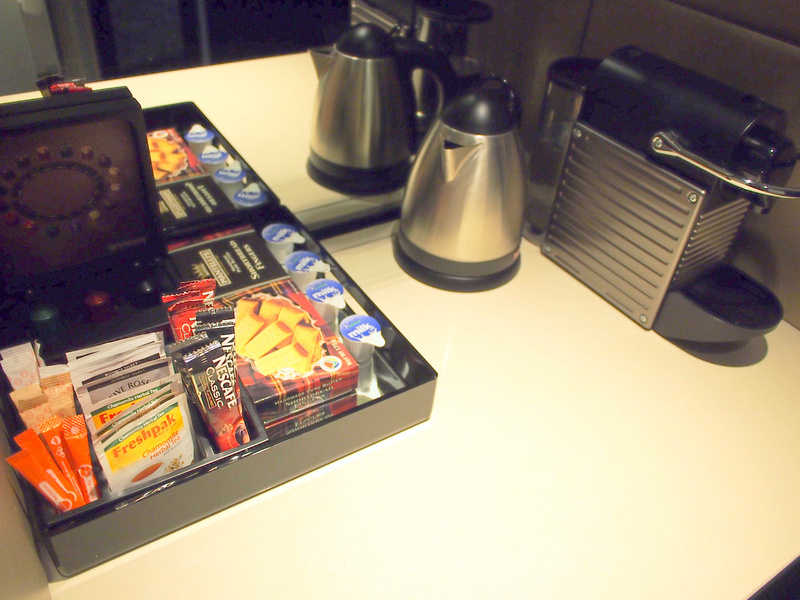 The tea and coffee making facilities included a pod espresso machine. Old-school newspaper service with the local newspaper hanging on my door in the morning. I like reading local newspapers to get a feel for what is happening in the city and country. 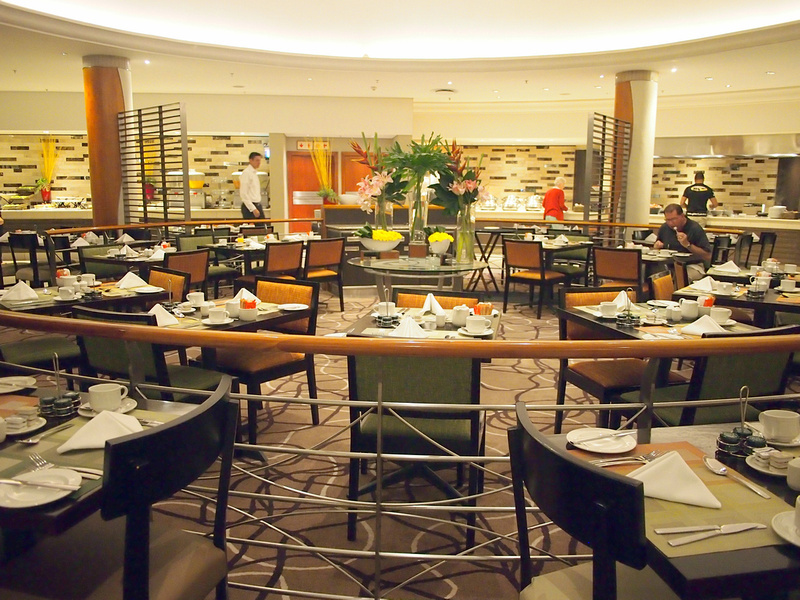 I had breakfast at the hotel which had a large buffet selection of continental and hot meals. 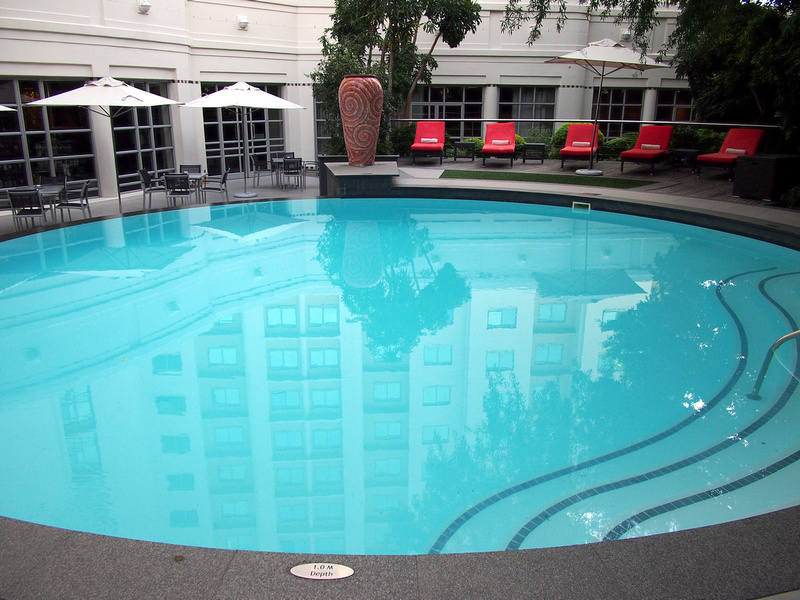 The hotel has a pool at the back on the ground floor. It is accessible via the bar area so you sit outside and enjoy a drink in the sunshine. Wifi is free for hotel guests and available throughout the property. You get 500MB free per day, so make sure you aren’t downloading lots of files if you want your internet to last for the day. Overall this was great place to stay in Cape Town. If you are staying in Cape Town for a few days you can easily walk to the city and waterfront. The is a shuttle bus that goes to the waterfront but I walked and it took about 15 minutes to get to the Robben Island ferry. The hotel is also close to Long St, which is famous for its bars and restaurants. 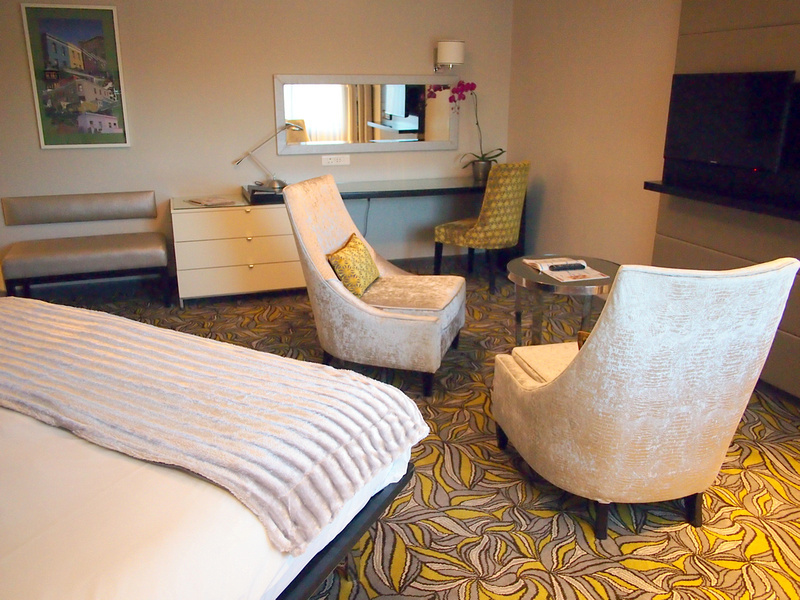 Visit the Southern Sun Waterfront site for rates and offers, or see the other Tsogo Sun hotels in Cape Town. For more photos visit the Southern Sun Waterfront photo gallery.